An emotional and defiant Jussie Smollett returned to the stage in Los Angeles on Saturday, marking his first public appearance since reporting what police called a "possible racially motivated" attack in Chicago last week. The 36-year-old Empire actor and singer told the crowd at his pre-scheduled show at the Troubadour club on the Sunset Strip he was "OK" and had fought back against his attackers, joking he is the "gay Tupac." 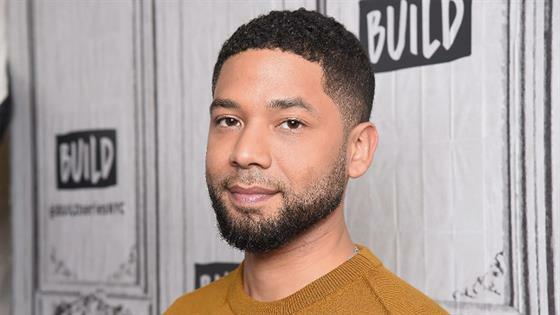 Chicago police had said last week that two unknown assailants allegedly approached Smollett, yelled racial and homophobic slurs, hit him in the face, poured an unknown chemical substance on him and wrapped a rope around his neck. They then fled. 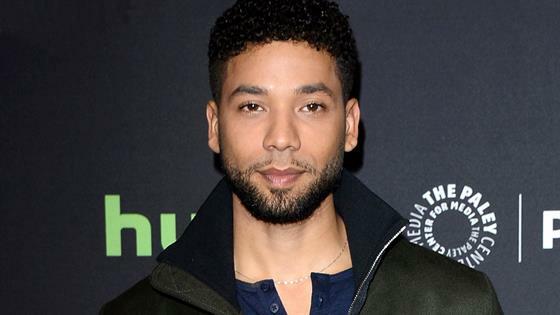 Smollett, who is black and gay, clarified at his show on Saturday that he was driven to see a doctor but was not hospitalized, suffered bruises but did not break any ribs, and was cleared by his physicians to perform. "And above all, I fought the f--k back," he said, drawing cheers. "I'm the gay Tupac." Smollett performed several songs, including "Heavy" from Empire, and was smiling, laughing and dancing, and cracking jokes during his set. He said several people from the show were in the crowd, including co-creator and director Lee Daniels, as was his "man," who he did not identify. Before Smollett began his set, his siblings Jurnee Smollett-Bell, Jazz Smollett, Jake Smollett, Jocqui Smollett and the eldest, Joel Smollett Jr., took the stage. 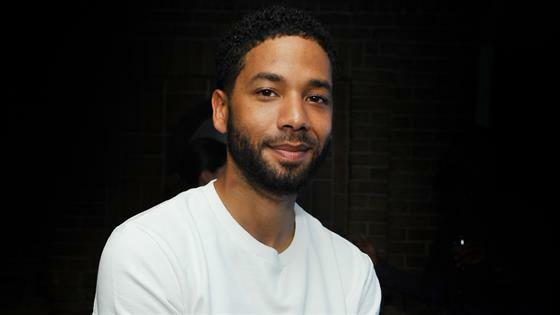 "As his big brother, I wanted Jussie to sit this one out," Joel said. "I sincerely wanted him to stay out of the public [eye] until he heals. After much debating, some arguing and many tears, my family and I realized that tonight is an important part of Jussie's healing. He's been a fighter since he was a baby. He fought his attackers that night and he continues to fight." "Jussie is a true artist, that's how he breathes," he continued. "But above all else, above all else, he is the epitome of love. So on behalf of the Smollett family, we are so proud of our brother and we are here tonight with all of you to give him confidence, the highest praise and unyielding support as he shares his music, his soul and his love to make this world a better place and not to concede to hate." Smollett then stepped onstage and embraced his siblings. During his set, Smollett thanked his fans again for their love and support. "I'm so proud of myself, I promised myself I was not gonna cry tonight," he said, adding, "There's somebody in the crowd that when I was younger, I used to sneak into the room and I would read articles about him because he was the first person that I ever saw on television that slightly looked like me, that I could identify with...Mr. Wilson Cruz." Cruz, an actor and gay activist for LGBTQ youth, rose to fame playing a troubled gay teen on the short-lived '90s cult series My So-Called Life and went on to star on shows like Party of Five, and most recently, Star Trek: Discovery. He also appeared in a number of films, and played Angel on the national tour of Rent. 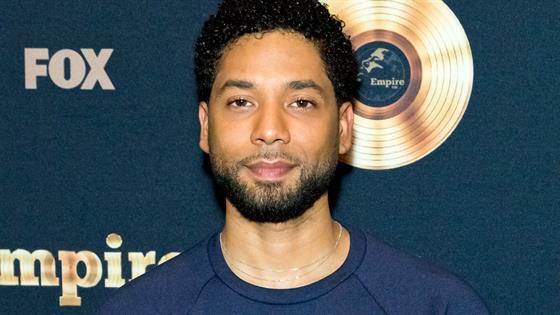 "I just want to say that I stand on so many backs of so many people," Smollett said. "I stand on the backs of the Lee Daniels, I stand on the back of the Wilson Cruzes...and the Langston Hugheses, and the James Baldwins...and I pray to God that I made you all proud, so thank you very much!" "I couldn't be MORE PROUD of you," Cruz wrote on Instagram, alongside a photo of Smollett appearing onstage. "The FORTITUDE it took for you to show up for US tonight. We are blessed to have you. Love you! @jussiesmollett."